Register here to be a part of our Mitzvah Corps Team. Cooking for the sick, bringing cheer to the elderly and so much more, join a team where you can truly make a difference! Thank you so much for your interest and for volunteering at The Shul. Your efforts are greatly appreciated! 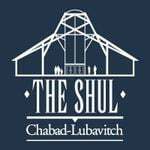 For additional information please call The Shul: 248-788-4000 ext 1105.